Unlike guitar amp plugins (Engl, Marshall), this Ampeg is really sounds amazing, big, warm, fat sound! Awesome bass amp! 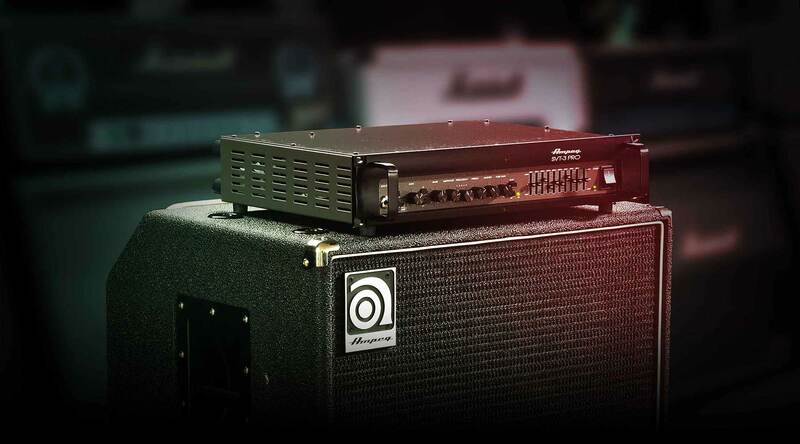 Ampeg SVT brings the beef! I tried this last night, and bought it right away after using it on a mix. Just amazing. It took a few minutes to tame the beast, but once it was dialed in, it was incredible. It can go from "way too much" to "too thin" and in-between. I can't wait to track with it ! I never though it was possible to get monster bass sounds with a plug in from a DI. Very impressive. This is the Bass Amp plug-in I've been looking for UA has done it again. all my bass guitars sound very clean and fat, I can get just about any bass tone I can think of live or in the studio. This is a must have. This bass amp plug-in will enhance your sound, check it out. Sweet! That's it. this thing it's not kidding...like the original one. I have an original one, it seems and don’t need it anymore. It has great sound and saves my time. This is a must have piece of software, the bass get much more audible and smooth, this really worth, I can highly recommend this to anyone. Easy to use and has a clean sound as a final product. Good job UAD. I use an Avalon U5 to capture my bass DI. Great signal and this SVT3 helps finish it off. A lot of the presets aren't very good, but there is a lot of flexibility in this plugin to dial in your settings. I also have an SVT450 in the studio. While this is the best emulation I've used does not deliver the same body as the real one. I use often a Kemper for recording bass guitar but I needed something else. Great sound, thanks so much! I often record bass guitar through a Kemper but I needed something else. This plugin helps me a lot. Thanks! Great sound! I tried out this STV-3 pro Plugin in the demo period without high expectations, as I own numerous bass amp plug-in's and I was allways satisfied with the results. Soon I excepted that I have to spend another amount as this plug-in has the special something that I do not want to miss anymore. great!